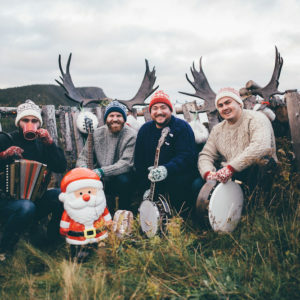 Popular Newfoundland band, Rum Ragged, will headline the Saturday Soirée – the traditional highlight of the Unscripted Twillingate Digital Arts festival. The talented group is one of Newfoundland and Labrador’s rising stars on the musical horizon. This evening is guaranteed to be a foot-stomping hand-clapping celebration. The Saturday Soirée will be a showing of some of the festival’s best digital art, paired with a finger food reception and laughter. Tickets go on sale 20 July 2018.